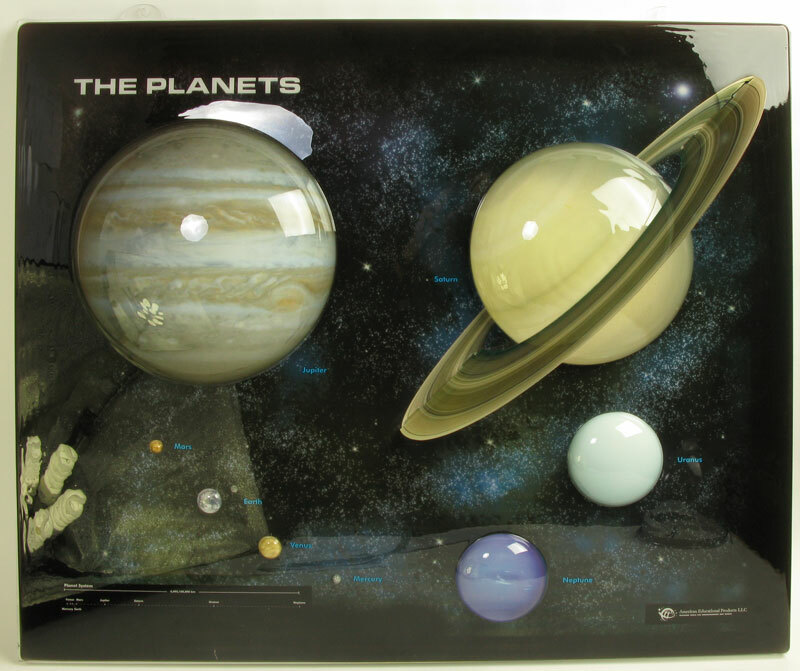 This eye-catching 3D wall plaque is a great way to generate interest in the solar system. All eight planets are to scale, respectively, and it even displays Saturn's rings in raised relief! 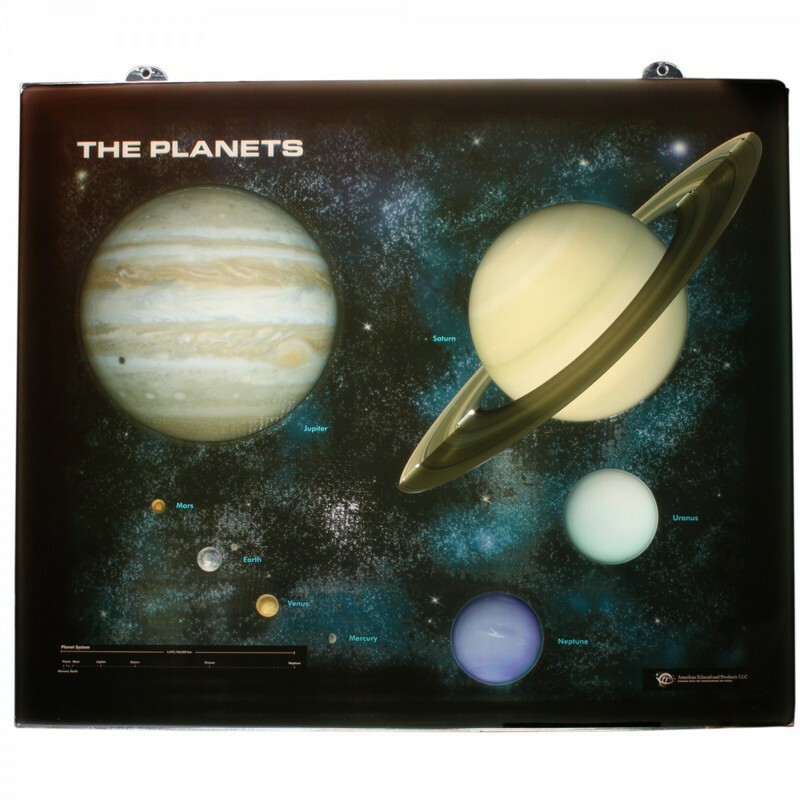 Approximate size is 30" X 36" with hanging grommets molded into the plaque itself. An informative Teacher's Guide is included. 37" x 36" x 6.5"